If you keep a close eye on reports from the Middle East you might be wondering why you haven’t seen news broadcasts and pages of coverage on the BBC and CNN and in the Guardian and New York Times about these attacks that are harming Palestinians. Perhaps this insightful blog post will explain why there has been no coverage about this outrageous onslaught. It is food for thought about the media and its agendas. Today we may have a case in point where coverage may be distorted to the detriment of people’s understanding of events. This concerns the Guardian’s extensive reporting and propaganda in respect of Israel’s blockade of the Gaza Strip. The blog CiF Watch draws our attention to news reports in Haaretz and on AFP, suggesting a United Nations report into the Israeli boarding of a Gaza-bound flotilla last year states the boardings were a legal act. The Guardian’s editorial line has consistently described the Israeli action as being against international law and therefore an illegal act. After an lengthy investigation the UN seems to believe otherwise. I’m willing to bet that the Guardian simply will not report this story, as it goes against volumes of Guardian stories, and CiF commentaries, since the May 31, 2010 incident, attesting to Israel’s guilt, but I’m even more confident that the countless number of contributors who were so quick to pass judgement on Israel’s blockade of weapons to Hamas will not apologize for their morally irresponsible rush to judgement. If this is what transpires it will be another clear example of the way news selection can be used to distort coverage and ensure a biased viewpoint is pushed upon the audience. Now consider this. Suppose there was a conservative minded broadcast news channel in the UK. While the BBC-Guardian axis keep the story low key by pretending it isn’t out there and ITV and Channel 4 follow suit, the conservative broadcaster runs the story on each of its news bulletins to a large audience throughout the day. The impact would be significant. A public that had previously only received media reports that the action was illegal would learn otherwise and would be able to question why this new development had not been reported. It would be educational and it would serve the public interest. Having considered the scenario above, one can see why the News of the World phone hacking stakes are so high for the Guardian led media and why there is such a determined onslaught against News International, currently the only realistic prospect of such a conservative news outlet being brought to fruition. The left-liberal media is engaging in a fight for control of our minds by doing all it can to control the news we hear. Far from upholding media plurality they are actively striving to restrict it. This is something we should all be mindful of and should all strongly oppose. ‘In all seriousness, the way that this story is handled in Western political and media circles is going to tell us something very significant indeed,’ explains Robin Shepherd. And as uncomfortable as that might be for many people, he’s right. What story, you ask? The one the media has so far ignored. Now why could that be? Nine months after Israel began relaxing restrictions on exports to the Gaza strip Hamas has re-imposed them. The blockade will apply to all goods that can’t be produced locally or obtained from elsewhere. The reason for the move is partly that like all Islamo-fascist outfits Hamas does not look kindly on things that bear the fingerprint of the dreaded Jew — or as the Jerusalem Post reported it, they’d rather do business with the Arabs — but also it’s because, now that imports are flowing in from Israel, the terror group’s extortion rackets from the tunnels between Gaza and Egypt are yielding a good deal less in revenue than they used to. Surely our fearless and impartial media doesn’t have a biased agenda, does it? 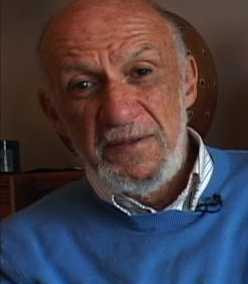 A tireless effort by campaign group UN Watch has led to what is being described as the unprecedented international condemation of Richard Falk, who has consistently exploited his position as a special rapporteur at the UN’s Human Rights Council to justify and deny Hamas and Al Qaeda terrorism. As the UN Human Rights Council’s permanent investigator of alleged Israeli violations in the Palestinian territories, Falk has had a largely unscrutinised position from which to satisfy his unquestioning vilification of the Israelis. As his target was Israel he was indulged by the left wing media as his outbursts fitted their narrative. But it now seems that after years of Falk’s rampant Israel bashing and partisan bias towards Hamas, spreading slurs and distortions and the asserting as fact claims that have later been debunked, the penny has finally dropped among his UN colleagues and the media that he is a deluded and unreliable propagandist. It follows his promotion of 9/11 conspiracy theories and attempts to exonerate Al Qaeda of any involvement in the terrorist atrocity, instead claiming the US government was responsible for the attack. After Greenpeace blamed global warming for (edit) one of Israel’s worst ever fires, an investigation has revealed the fire was started accidentally by an environmentalist at an eco camp. HauntingTheLibrary has the story. Jack Straw, Tehran’s special friend? ‘Straw Endorses Iran’s Right for Peaceful Nuclear Program’ says the headline in the Iran News Daily. As propaganda goes it’s very rough and ready. But it underlines how a mouthpiece politician like Jack Straw can talk his way into trouble and hand a propaganda coup to a country that actively supports terrorism and has supplied insurgents in Iraq with the weapons and explosives to commit mass murder in an effort to keep Iraq unstable. Britain’s “continuous and apologetic support for the shah long after he lost credibility in the eyes of Iranians” had gravely strained the two countries’ relations for the past 30 years, he also said. The former foreign secretary said that he read a lot on Iranian history and politics and continued to enjoy its distinguished literature. “They deny it but they do, so let’s be clear about that,” he added. Unlike Iran, he also said that it was not a member of the NPT but rejected inferences that this was permissible as was the case with regard to both India and Pakistan’s nuclear arms capability. In line with the British government, Straw suggested that the issue of Israel’s nuclear arsenal should only be tackled after resolution to the Middle East conflict. “People can argue if Israel should have been formed but it was,” he said. He also referred to the “perfidious role of UK” in its creation when reaching secret agreement. “There was no argument for Israel to pull back from stealing people’s land. In the West Bank, the continued encroachment is terrible,” the former foreign secretary said, distracting away from the issue of Israel’s illegal stockpile of nuclear weapons. No doubt Israel will be delighted to see a former British Foreign Minister offering Iran handy soundbites that give succour to Ahmadinejad’s regime. Let’s not forget Iran is a country that is enabling the stockpiling on weaponary by terrorist groups on Israel’s border in preparation for yet another conflict, yet Straw hands them a warped justification for their actions. Straw’s ‘it wasn’t me guv’ hypocrisy is sickening. Hamas previously denied those figures which were consistent with the numbers initially reported by the Israel Defense Forces Spokesperson’s Unit immediately following the operation. The terrorists turned dictators claimed at the time that less than 50 of its fighters had been killed and labelled all other deaths as civilian, claims that were accepted without question by the flawed and biased Goldstone Report commissioned by the United Nations. Indeed, Hamas is doing altogether rather too well when it comes to smuggling rockets and explosives into Gaza in readiness for yet more attacks on Israel. They just need to keep paying for them to be supplied. Hey! Judah! Leave them trees alone! These are some suggested new lyrics for the Lebanon-Israel border version of Pink Floyd’s ‘The Wall’, following what could be considered to be the first eco-shooting in the Middle East. Reports suggest some Israeli soldiers, (who insist they remained on their own side of the border with Lebanon) entered the buffer zone to cut down a tree that obscured their view of the village of Adaysseh on the Lebanese side. Lebanese troops on the other side of the border apparently warned the Israelis not to uproot the tree, before opening fire, wounding at least two IDF troops. 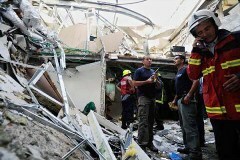 The Israelis apparently responded with artillery on those who opened fire, killing up to four people. It’s clear that cutting down a tree was no threat to the Lebanese soldiers, so one has to wonder why they felt the need to engage. The situation is confused. 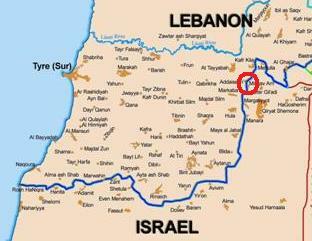 Lebanon claims the tree was on their side of the border and thus the Israeli work was an incursion. They also say the Israelis opened fire first, although it was the Lebanese issuing warnings. Lebanon’s Prime Minister, Saad Hariri, condemned Israel’s “aggression” and said Lebanese sovereignty had been violated. It’s hard to imagine that uprooting a tree is an act of aggression, unless of course the tree belongs to the Na’vi from the film Avatar. It certainly sparked a serious military exchange and again underlined the feeble level of response by the United Nations. The whole thing appears to be a massive over reaction by some men with very itchy trigger fingers. It could have been a lot worse. Imagine if instead of a tree it had been an entire row of Leylandii being cut down! Update: It has since been claimed that the Israelis gave the United Nations notice of their intention to carry out work within their borders, but between the fences. If true, were the Lebanese told? Time for answers from the UN, if they can pull themselves away from their spectator sport of watching Hezbollah restock their weapons in breach of UN Resolution 1701. Just to reinforce the point made in the last posting here. Another night in Ashkelon, another rocket attack launched by Palestinian terrorists in Gaza, another story of terrorist aggression against Israel that is ignored by the BBC. The largest news gathering organisation in the world has decided this isn’t news, so we have to rely on local sources to find out what’s really going on. Many people demand that Israel turn the other cheek. They say that retaliating against such attacks only escalates the violence. The problem is a failure to strike back tells the terrorists that they can act with impunity and without consequence. 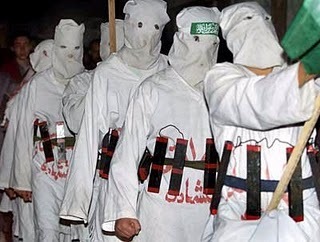 Hamas will not act against those perpetrating the rocket attacks – it actually encourages them. What of the international community? The United Nations is utterly useless, a point rammed home by the fact Hezbollah in southern Lebanon has not only rearmed after its last conflict with Israel, under UN supervision and against UN resolutions, it now has a larger and more lethal arsenal than it had before. Predictions of an Israeli spring offensive this year, faithfully trotted out by the media as part of the Israel aggression narrative, proved to be false. Incidentally, the piece also reminds us why Israeli troops boarded ships heading for Gaza, after previous inspections turned up weapons caches en route to the terrorists. As a backdrop to all this, Iran continues to develop a nuclear weapons capability and issues threats that it will raze Tel Aviv to the ground if Israel acts to stop the nuclear proliferation. The UN Security Council which said it would stop Iran developing such a weapons capability talks, talks then talks some more while the centrifuges continue to spin. Then there is Syria, once again engaging in a customary round of sabre rattling where the talk is of war, not peace. Its President, Bashar Assad, also tries to stop the facts about the assassination of the former Lebanese Prime Minister being revealed by threatening to side with Hezbollah if they are found to be responsible. The absence of this kind of context keeps people in ignorance about Israel’s side of the story. We may very well ask the BBC why it makes such partial editorial decisions, but we will not be furnished with an explanation. We will just continue to be told to fork out £142.50 per annum to be informed, educated and entertained in the manner the BBC sees fit – and take their word for it that they are impartial, even though they use our money to fight in court to suppress publication of the Balen Report we paid for, into their Middle East coverage that has been called into question for bias against Israel. Go figure. When it comes to Israeli retaliation for terrorist attacks launched against innocent civilians, BBC journalists either don’t get it, or do get it but have an anti-Israeli agenda to service. Retaliatory actions by Israel get full coverage from our public service broadcaster as you can see here. But as always there is only a passing explanation for the action, which is inevitably played down when, by sheer luck, the terrorist attack only causes property damage and fails to kill any Israelis. There was no report on Friday about the rocket attack. It was ignored. Why? The murderous intent behind the attacks by Palestinian terrorists is completely ignored by the BBC reporter filing the story. Correspondents say such attacks are almost always ineffective, with rockets mostly landing in open fields. Oh well, that’s alright then. Presumably that’s why attacks such as these aren’t reported and their impact explained, because the weapons those nice Palestinians use aren’t as effective. One Thai farmer in Israel has been killed in the past year. See it’s only one person, so what’s the big deal? Dozens of Palestinians, some of them civilians, have been killed in attacks from Israel over the same period. See? The Israelis are worse. Those nasty Israelis just launch these raids for fun and kill lots of oppressed Keffiyeh wearing chaps going about their lives. It’s an outrage isn’t it? Do you understand? Palestinians = good, Israelis = bad. You can trust us on this, we’re the famously impartial BBC for heaven’s sake. You know that because once in a blue moon we might actually publish an article telling you the Israelis perspective. That would be the BBC that also fails to put these matters into context for readers. After all, where was the report about the four rockets and two mortar rounds that were fired at Israel just one week ago? Or the terrorist team that was intercepted just days earlier as they tried to get into Israel from their supposed ‘prison camp’ to commit another attack? We have to rely on local media for such information because the BBC can’t be relied upon to present the full picture. Is it any wonder that we see comments such as these from people whose ignorance of the reality of life in Israel is matched only by their hatred of the Israelis who are determined to hold the line and strike back against their attackers? People who fail to note that Hamas, which controls Gaza through fear and repression, refuses to engage in direct peace talks with Israel, that even the Arab League supports, citing yet more excuses for maintaining their hateful violence. Make no mistake, Israel often does things that are wrong or indefensible, things that are rightly condemned. But it must not be forgotten that the state of Israel has an obligation to combat the continuous threats it faces from people whose only goal is the destruction of Israel and the death or expulsion of the Jews from that land – a land the Jews had inhabited well before the time of Christ. Israel can be excused for thinking that with friends like David Cameron it doesn’t need enemies. It can also be excused for wondering how a man with an Eton and Oxford education can be so lacking in critical faculties. The Israeli attack on the Gaza flotilla was completely unacceptable. The fact is aid and goods do flow into Gaza from Israel. Israel has attempted to stop certain materials that can have military application from being channeled to Hamas – a terrorist organisation. Perhaps Cameron has forgotten that Egypt also has restrictions on goods and people crossing its border into Gaza. If Gaza is a prison camp, then it is remarkably well equipped if overcrowded. The latest mobile phones, computers and consumer items are all available – although Palestinian profiteers are controlling supplies of some basics in order to drive up prices and increase their own earnings. Cameron is either ignorant or he is peddling deliberate deceptions to ingratiate himself with the Turks. Either way the rhetoric only serves in inflame opinion against Israel, which continues to face aggression from groups such as Hamas, countries such as Syria, Lebanon and Iran and their proxies such as Hezbollah. Presumably Turkish aggression against the Kurds and border incursions into Iraq to attack PKK targets are fine. It seems on Planet Cameron only Israel should be berated when it stands up to terrorism. Notably absent from Cameron’s soft soaping of Israel’s opponents was any mention of Hamas’ criminal and terrorist behaviour. Nothing was said about the Fatah members who were thrown from rooftops in Gaza by Hamas fighters. Nothing was said about Palestinians who fled to Israel for protection and received hospital treatment after being attacked by Hamas members. No, the only aggressor and party worthy of vilification in that part of the world is Israel and Cameron has demonstrated he will put expediency before honesty. According to the official record 10,726,614 UK citizens voted for a Conservative government in May. Instead they got Cameron’s cabal of conservatives in name only. Forget the heir to Blair line. These political pygmies with their own peculiar brand of schoolboy politics are the heirs to David Owen. Ironically Labour got it right by calling Cameron a chameleon. Unfortunately he changed colour to a pinkish yellow rather than the deep blue conservatives had hoped for. This country swapped one left of centre government for another left of centre government. The Conservative logo was a flag of convenience, nothing more. One wonders how long the grassroots will stomach this hijack of their party and coup by the Tory wets, whose approach and behaviour handed Blair his triumph in 1997. It is all very well Britain, the EU and the United Nations demanding an end to Israel’s blockade of Gaza. But which of these entities will step up and ensure Hamas does not use any lifting of the blockade to smuggle yet more weapons into Gaza with which Hamas terrorists attack Israel indiscriminately? The UN has demonstrated again its utter uselessness as it has stood by while Hezbollah re-arms in southern Lebanon, bringing in weapons and ammunition from Syria and Iran. 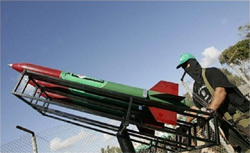 If Israel does not restrict the flow of materials, Hamas will re-arm just as quickly in Gaza. Why should Israel be condemned for taking actions to prevent the attacks we all know will be launched? While the international community and the world’s media focuses attention on Israel’s attempts to maintain the blockade following the fatal actions on the high seas, there seems to be an absence of comment about Egypt’s blockade of Gaza. Having publicity about an Islamic nation also blockading the Hamas administration doesn’t seem to suit the anti-Israel campaigners. But surely it is telling that a country that is effectively an enemy of Israel shares concerns about Hamas’ intentions. Egypt proves the issue in Gaza is not Israel, but Hamas. Since its bloody takeover, Gaza has been converted into a militarised zone where the powerbrokers are bent on the destruction of the Israeli state. Few people seem to ask why the people of Gaza experience shortages, yet Hamas with its myriad of tunnels and smuggling routes, seems well capable of importing weaponary and ammunition. There also seems to be no shortage of mobile phones and other mod cons in Gaza, which seems rather curious for a territory that struggles to acquire life’s basics. Why don’t the protesters raise this and demand Hamas explain why its priority is obtaining weapons rather than acquiring much needed aid? Perhaps because of the uncomfortable truth that Hamas is responsible for more deaths in Gaza than Israel. Its civil war with Fatah has brought about many of the problems and its continuing aggression against Israel has resulted in restrictions of what can be imported. It is terrible that lives have been lost as some well meaning people, manipulated and egged on by extremists, have blindly attempted to break the blockade. It is no surprise to see appeased terrorists such as Martin McGuinness and the usual suspects from places like Northern Ireland at the forefront of the effort to prop up a violent faction that rules Gaza by fear. But then, these important facts that put the thing into context are not helpful in winning over an ill-informed global public. What is the point of the United Nations? When it comes to being critical of the United Nations (UN) one is generally spoiled for choice as to which particular incidence of incompetence, corruption or idiocy should be focused upon. In that respect the UN is the gift that just keeps giving, as Helen Szamuely at Your Freedom and Ours demonstrated earlier this week. The expression ‘it defies belief’ is generally an over used descriptor when applied to ridiculous actions or decisions. But in this case it is entirely appropriate. What other organisation could convene a Commission on the Status of Women and include representatives from Iran – a country where women can be raped by a violent male yet receive brutal corporal punishment for it, or be stoned to death for an adulterous sexual liaison; and the Democratic Republic of Congo – a country that doesn’t have even a fleeting idea of democracy and where women are systematically brutalised by lawless militias and even serving UN personnel stationed in the county. Women may be forgiven for feeling this breathtakingly stupid decision by the lavishly funded and utterly useless international talking shop sends a less than convincing signal about the seriousness attached to the protection of women. No doubt we will soon see the UN and many media outlets performing contortionist acts to avoid stating the fact that under the watchful gaze of UN observers, Hezbollah in the Lebanon has been able to re-arm itself with ever more sophisticated weaponry from its sponsors in Tehran and Damascus, which it will again put to use attacking Israel under some imagined provocation. The UN response will be to urge Hezbollah to be nice, while condemning Israel for disproportionate response or investigating it for alleged war crimes for having the temerity to do no more than defend its population from a determined and premeditated assault. Too many of the nations treated with kid gloves by the UN are not nations we want to be united with, in any way. The Security Council is hopelessly deadlocked on vital matters, such as Iran’s nuclear proliferation. What is the point of continuing to bang our heads against a wall and fund an organisation that serves the interests of the international community so poorly?